Some of the coolest creatures around…who aren’t technically around anymore, are dinosaurs! Kids love these large beasts with their distinct looks, loud roars, and somewhat mysterious background. There’s only so much we know about this in history, but what we do know, can be seen and experienced by visiting a local dinosaur museum or fossil site. 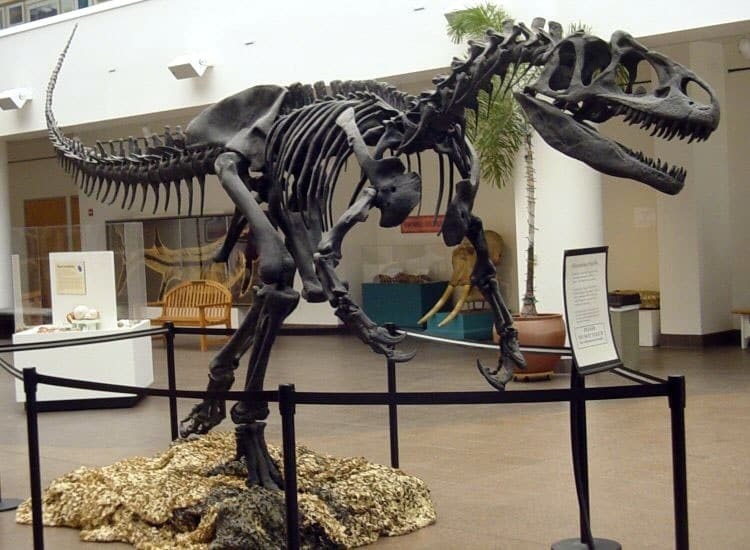 Dinosaur museums and fossil sites in Southern California not only celebrate these colossal creatures, but also entertain and educate the public on the importance of them in time and history. Furthermore, museums help to raise awareness of the value of fossils—not just as collectibles but for the lessons we have yet to learn from the creatures that once walked this planet. So, grab your family and head out on a hunt – a fossil hunt that is – to your local Southern California dinosaur museum or dinosaur park. 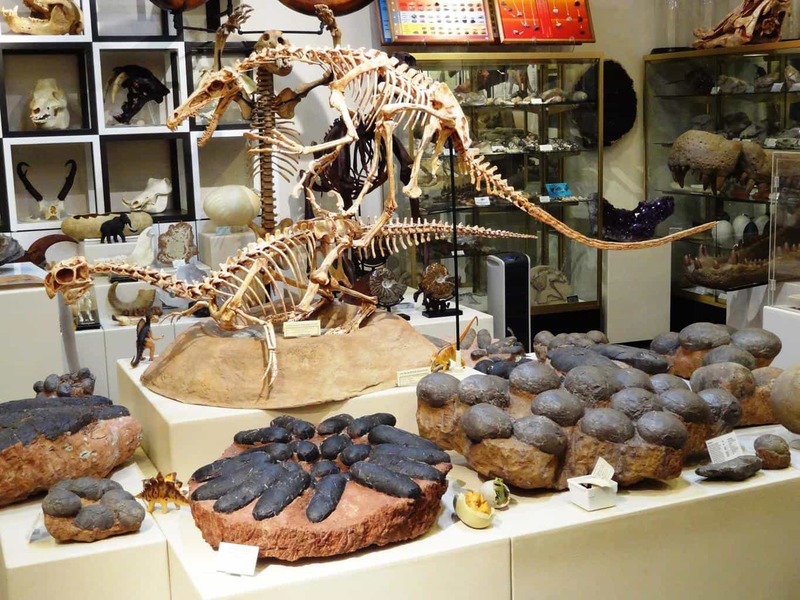 SoCal Field Trips has found some of the coolest dinosaur and fossil sites across the Southland – from the popular roadside attraction Cabazon Dinoaurs in Palm Springs to the Dinosaur Store in Pasadena – there is a favorite site for everyone! 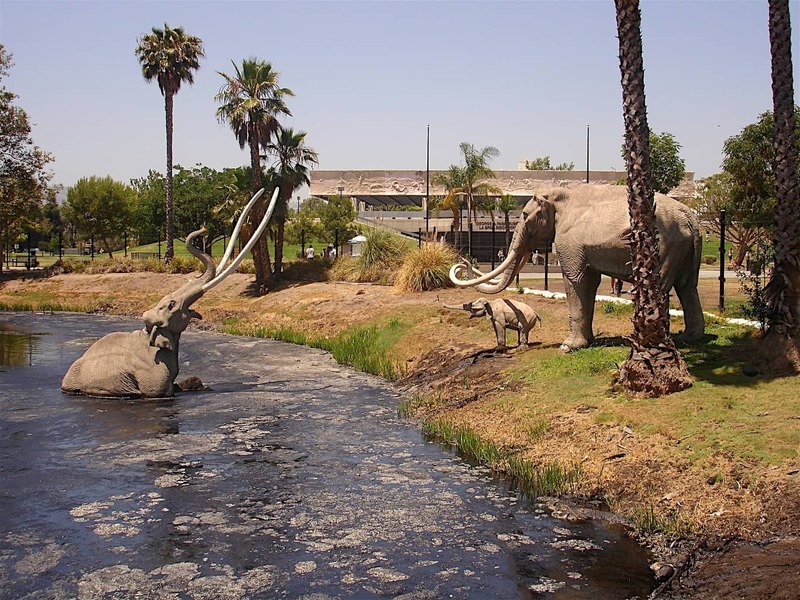 The La Brea Tar Pits is the #1 fossil attraction in Southern California for a one reason. They have hundreds of prehistoric fossils. Their fossil collection showcases the history of several extinct mammals including saber-tooth tigers, mammoths and giant sloths. 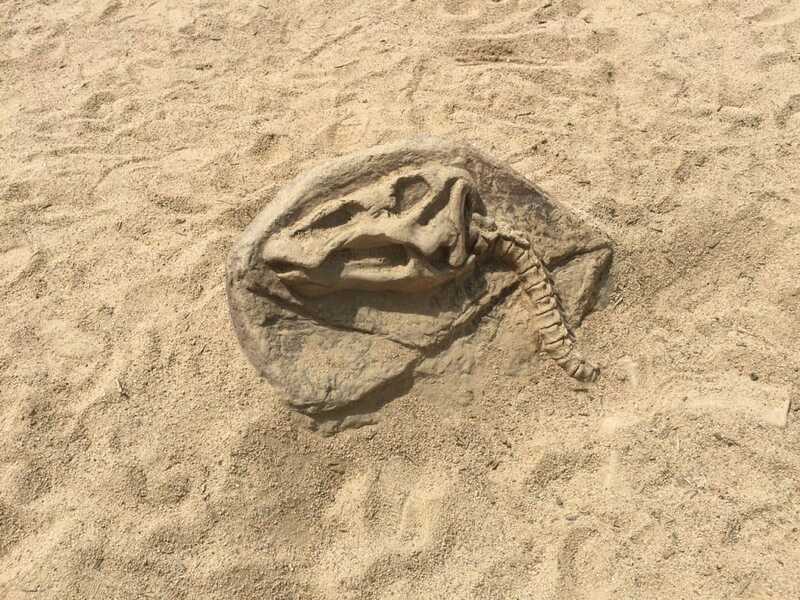 Though technically they’re not dinosaur fossils, they’re just as impressive, perhaps even more. While at the Page Museum, guests can see also an astonishing view of the large tar pits keeping the fossils intact, watch a 3D movie called Titans of the Ice Age and or take a Ice Age Encounters Tour. Museum Free Days include the first Tuesday of every month except July and August. Free admission is also offered to CA EBT cardholders, CA teachers, active/retired military and kids 2 and under. Plus, the Museum offers 4 free Homeschool Days per school year so you can enjoy everything the Tar Pits have to offer without sharing the Museum with traditional school groups. Dig It! : The Skirball Cultural Center’s Archaeology Adventures calls all aspiring archaeologists to the Skirball’s dig site! With the help of the archaeological staff in an outdoor field laboratory, discover what we have in common with people who lived centuries ago. Slip on an archaeologist’s vest, sift and sort to find ancient artifacts buried beneath the sand, weigh and examine your findings, and analyze clues to piece together the story of an ancient Iron Age town. On Sundays, look out for the Hands on History touch-cart to get a real feel for the ancient world! 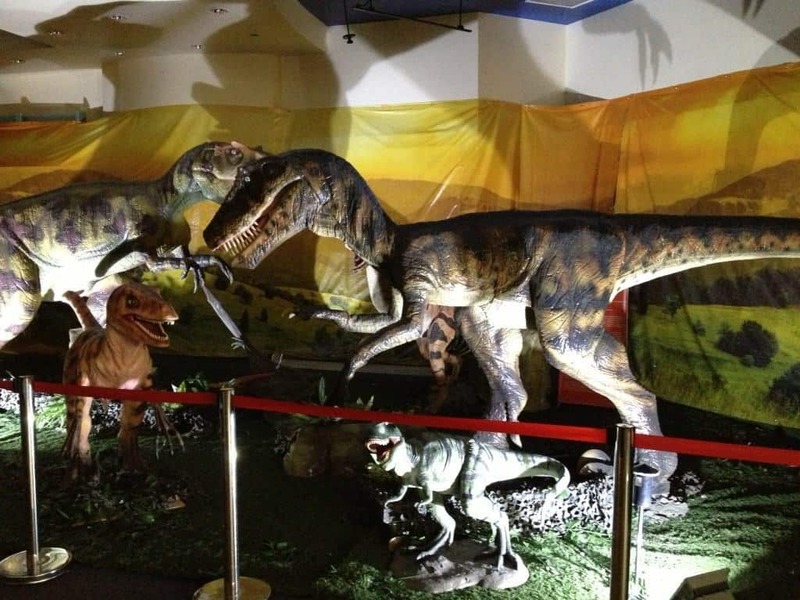 A new museum promoting Dinosaur fun, the Wonder of Dinosaurs has a variety of robotic and static dinosaurs on display. Educational scientific information signs mean that kids will learn and enjoy the dinos. Wonder of Dinosaurs also offers parties and special events. The Natural History Museum of Los Angeles County is the largest natural and historical museum in the western United States. Their all-new, 14,000-square-foot Dinosaur Hall is twice the size of the Museum’s old dinosaur galleries. On display is over 300+ fossils and 20 complete dinosaurs and ancient sea creatures. Guests also can watch footage of a real dinosaur hunting expedition and “excavate” specimans at multimedia stations. On Thursdays and over the weekend, NHM hosts the Dinosaur Encounters Show! Dinosaurs come to life as realistic T. rex and Triceratops large-scale puppets capture the imaginations of young audiences. Families learn together about dinosaur anatomy, possible behavior and movement. This show is free with the cost of admission. Four times a year the Natural History Museum hosts Homeschool Days. Homeschool Days are free for any homeschooler age 2 to 18 yrs. old and his/her educators. They also offer additional education classes to enhance your child’s visit. Do you imagine what life was like when dinosaurs roamed the earth? Now you can step back in time and observe some of the most unique creatures that have ever walked the face of the earth in Dinosaurs Unearthed at the Discovery Cube LA. 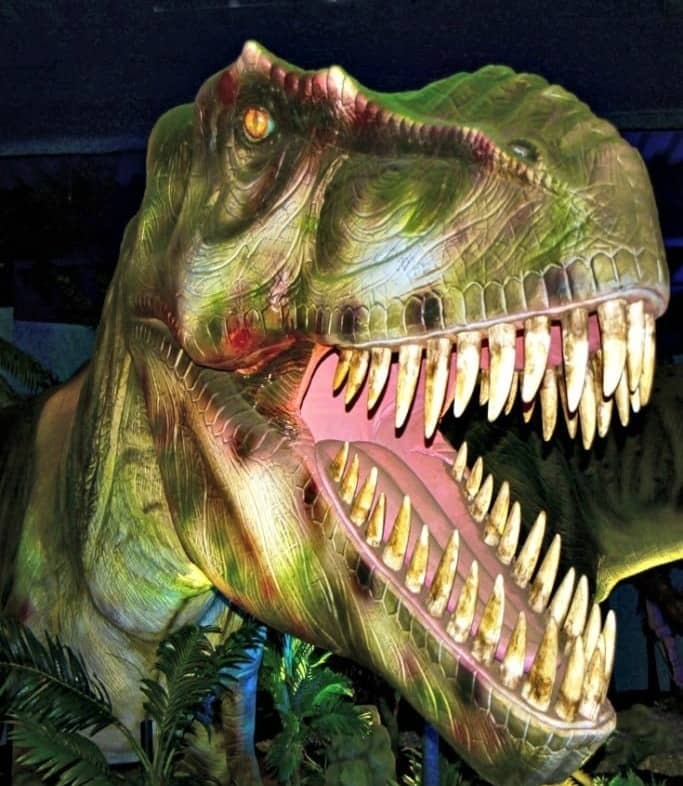 The awe-inspiring stories of prehistoric earth unfold with immersive exhibition that features dynamic scenes of life-size, lifelike animatronic dinosaurs! The experience brings to life two stirring tales of large-scale excavation sites from opposite sides of the globe and reveals secrets about life on earth, millions of years ago. Dinosaurs Unearthed is similar to the Extreme Dinosaurs exhibit that was previously at Discovery Cube in Orange County. No Dinosaur Day is complete without a souvenir! 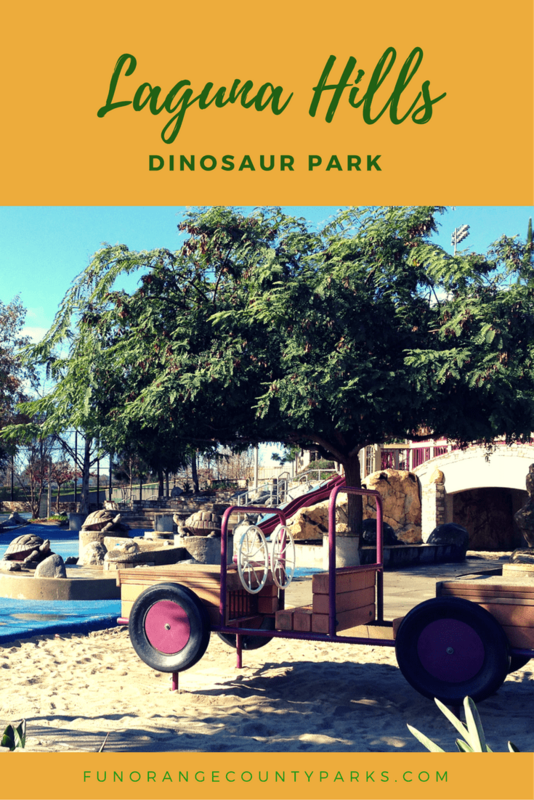 The Dinosaur Farm in South Pasadena is absolute heaven for dino-lovers of all ages. Budding paleontologists will go crazy over the huge selection of all-things-dinosaur, from books, toys, puzzles, and models to clothing and room decor. They even have real fossilized dinosaur poop! Jurassic Park: The Ride is a water-based amusement ride based on the Steven Spielberg film Jurassic Park and Michael Crichton’s novel located at Universal Studios Hollywood. The ride is designed to have the feel of Isla Nublar. If you haven’t been to Vincent Lugo Park in San Gabriel you must put it on your bucket list of things to do with your family in SoCal. 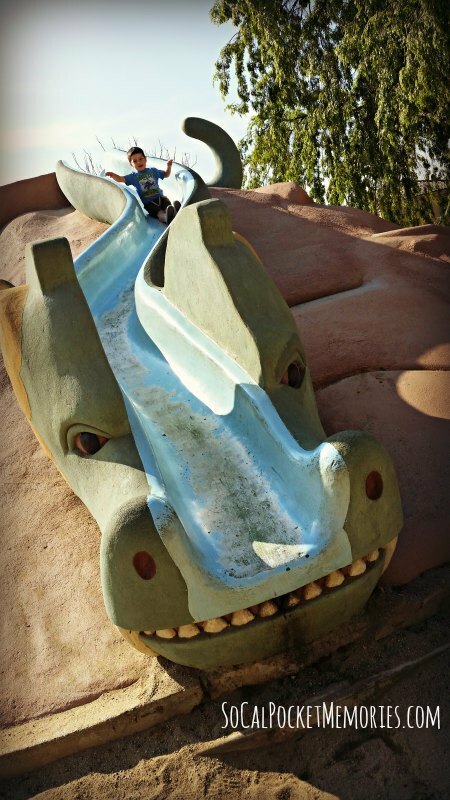 There are giant sea creatures around the playground for kids to climb on and even a dinosaur slide to go down. In 2015, Universal Studios Hollywood debuted a walk-around Raptor Encounter experience in the Jurassic Park area of the theme park’s lower lot. After much commotion, a raptor emerges from its paddock, seemingly well trained to pose safely with park guests – though trainers are always on hand in case anything goes awry! Starting at Sheep Hills Parks, go on a fossil hunting adventure with your kids. Then take a 45-minute easy walk through the green hills where families can hunt for marine fossils (such as scallops, oysters or other mollusks). The Toll Roads offices in Irvine and San Clemente house some of the more spectacular fossils found during construction of the toll roads throughout Orange County. The City of Laguna Hills Community Center and Sports Complex were built on one of the richest fossil sites in the United States. The community center offers 3 programs for the public. Free audio tours of its extensive fossil display. 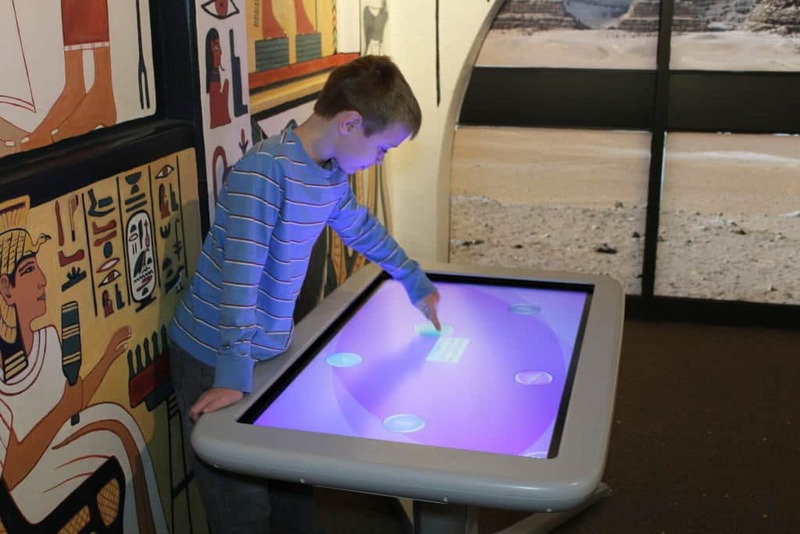 At the Bowers Kidseum, children can explore several interactive, hands-on exhibits focused on world cultures and art. 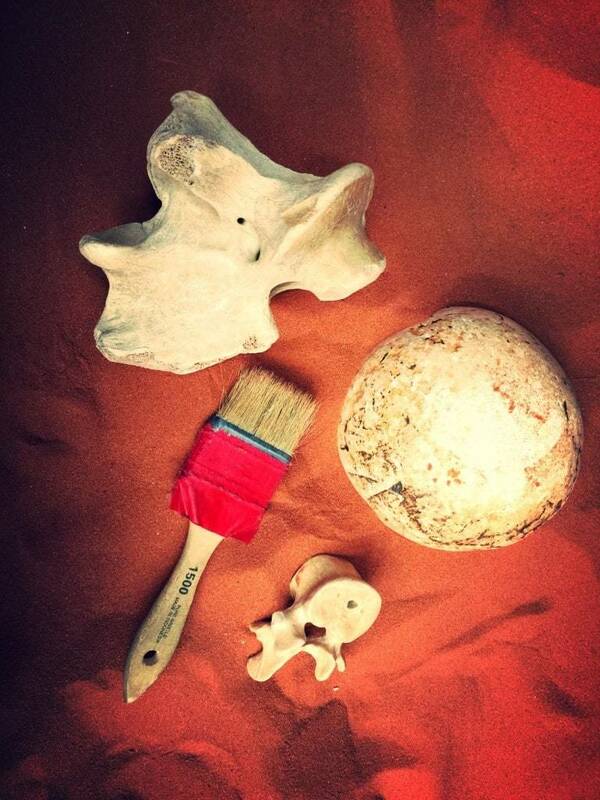 There are many opportunities to create art, do an archeological fossil dig, time travel through space and more. Kidseum is geared towards preschool and elementary school-aged children. 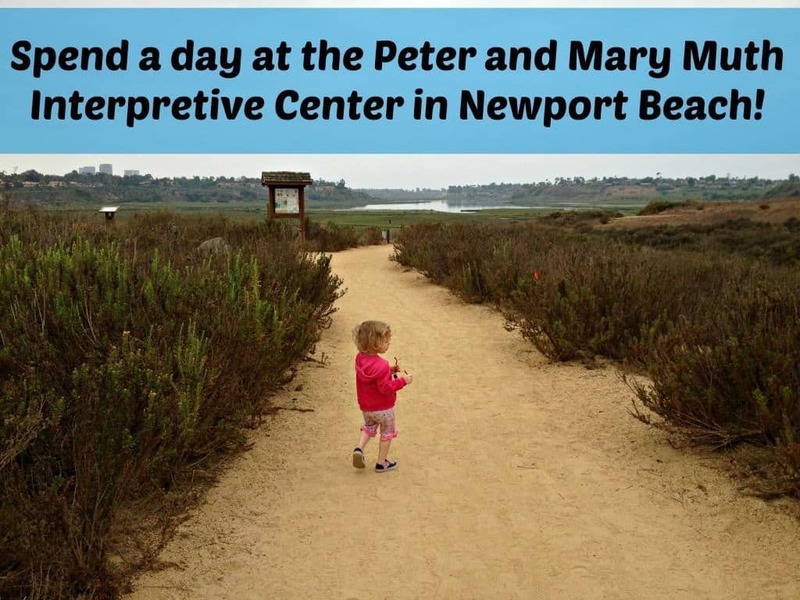 The Cooper Center’s exhibit at the Newport Bay Interpretive Center highlights fossils and artifacts found around the bay. From 13 million year old sperm whales and desmostylians, to mammoths and shells from the last interglacial period 120,000 years ago, Newport Beach has a rich paleontological history. Additionally, many ancient cultures made the area home, and some of their artifacts are exhibited. See timelines of the history of life and people from Orange County. Free admission and parking. Concourse Park is located in a quiet community in Lake Forest and backs up against a hiking trail that leads right into Limestone Canyon. There are two structures to play on, one for older children and one for toddlers. There is also a sand pit with a castle sand/water feature, and a fun dinosaur dig. 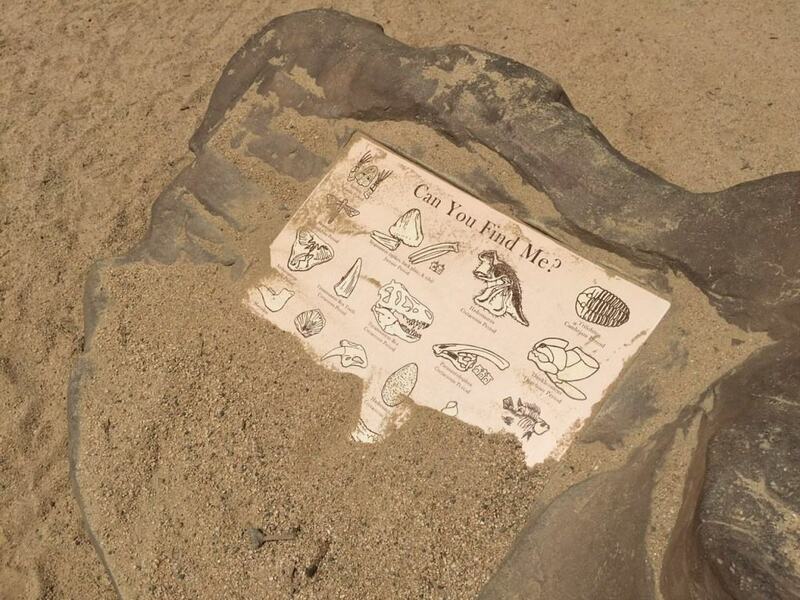 The dinosaur dig has a picture advising children of all the fossils hidden in the sand waiting for them to discover. Dino Days at the Nature Park, hosted annually by the City of Lake Forest Department of Parks & Recreation, takes place in June every year, at Nature Park. The whole family can enjoy crafts, face painting, balloon artists, and fossil digs. There is also a self-guided tour to meet-and-greet five different animatronic dinosaurs, including a Velociraptor, T-Rex, Brachiosaurus, Dilophasaurus, and Procomsognathus. 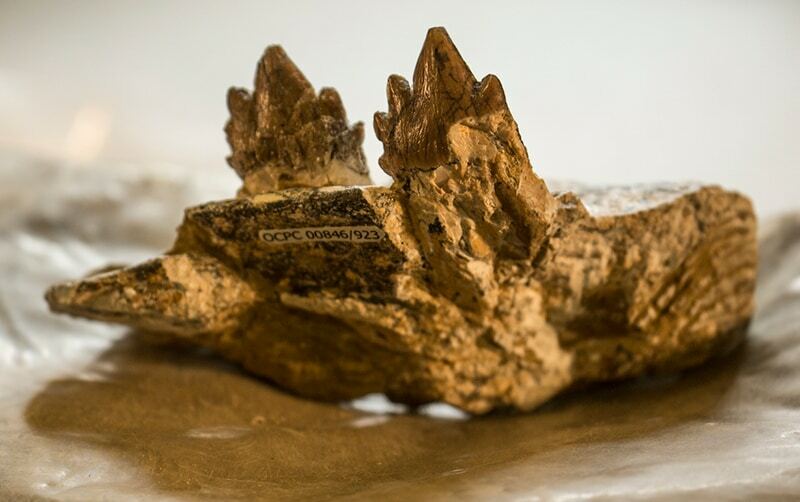 The Cooper Center is an official center of Cal State Fullerton and is committed to the preservation, curation, and management of the fossils and artifacts within the County for the purpose of scientific research, outreach, and education. The artifacts and fossils managed in the Cooper Center have been accumulated over the last four decades from sites in Orange County that have undergone Cultural Resource Management studies. The collections at the Cooper Center include artifacts and fossils collected since the 1920s, some hundreds of millions of years old. The Cooper Center is a research facility, and is not open to the public. 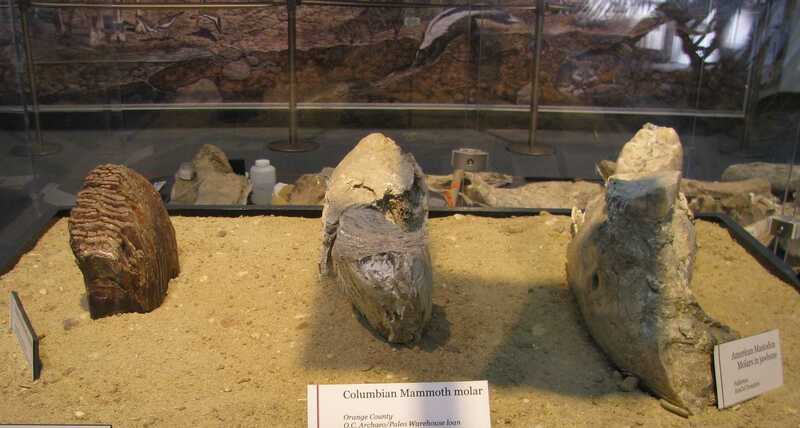 However, visit the Cooper Center’s Exhibits page for places to go to view Orange County fossils and artifacts. 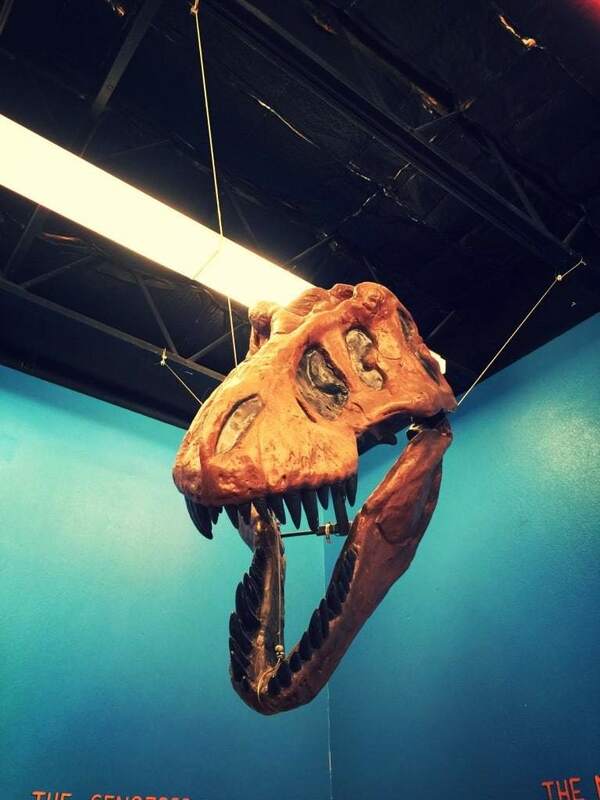 The Children’s Museum of La Habra has a small indoor dinosaur exhibit that includes a fossil excavation pit and a cute set of dinosaur eggs you can play with. The museum also has an outdoor dinosaur garden that allows for wonderful photo opportunities. Fossil excavated from construction of the Kaiser Permanante medical office in Foothill Ranch are displayed there, including a whale, a dolphin, and a Pacific Loon from seas that covered the area five million years ago. Though they’re not dinosaur fossils, they are still fun to see! 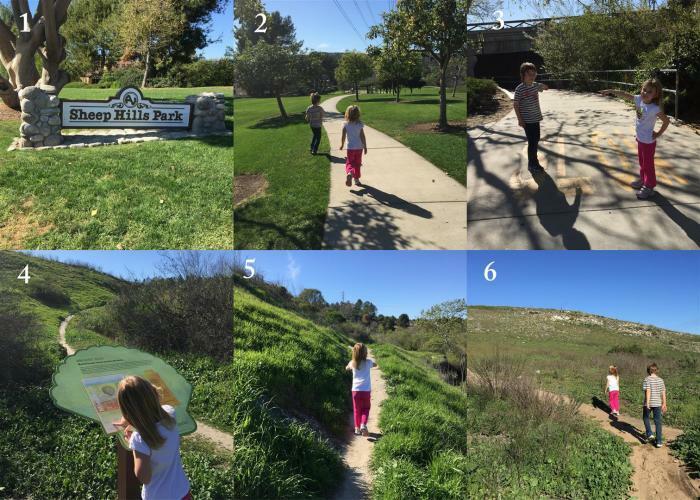 Prepare to be amazed by this local park tucked discreetly behind the Laguna Hills Community Center. Kids love climbing the enormous rock walls which are literally brimming with prehistoric fossils, riding tot-sized dino bouncers, and exploring enormous statues on display throughout the two-story playground. A nearly-complete skeleton of a baleen whale was found off of Greenfield Drive during construction of the 73 Toll Road. Since then, paleontologists and archaeologists have spent thousands of hours monitoring and collecting fossils spanning 90 million years. 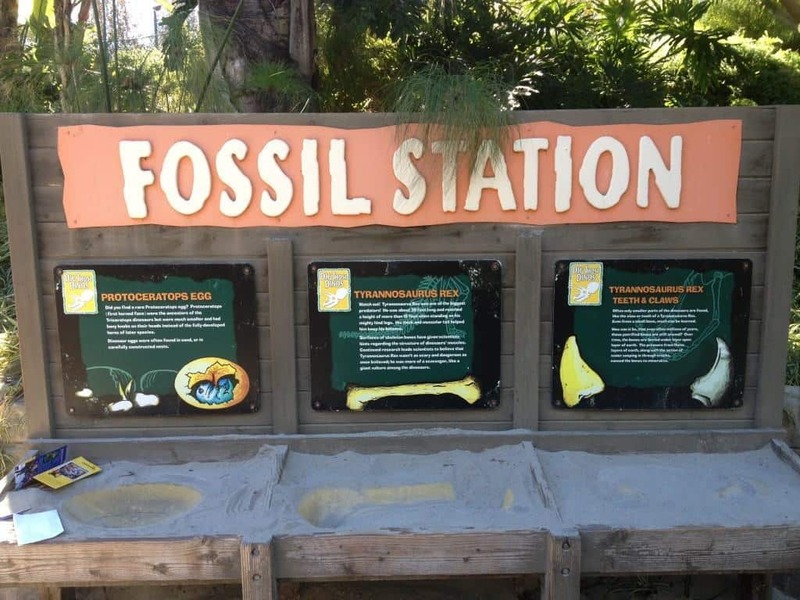 That’s why the Toll Roads of Orange County launched “Fossils in Your Backyard,” a free educational program taught by professional paleontologists to give area schoolchildren a firsthand glimpse of what life was like in prehistoric Orange County. To schedule a presentation at your school or for your homeschool group, please call (949) 727-4800 and ask to speak with the person in charge of the “Fossils in Your Backyard” program. Ever wondered if dinosaurs roamed California thousands of years ago? 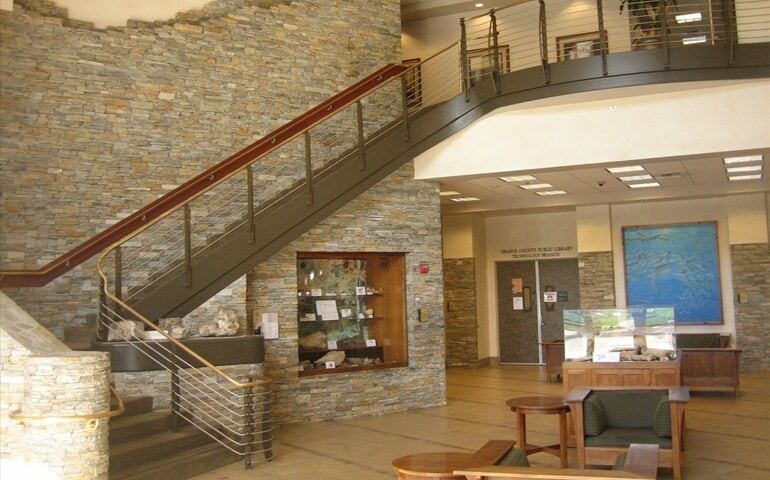 See fossils up close at the Ralph B. Clark Interpretive Center in Buena Park. Get a glimpse of prehistoric Orange County through exhibits, programs and guided tours. Most of the fossils on display were found in Ralph B. Clark Regional Park. The collection includes a selection of whales and desmostylians, an extinct order of marine mammals that were truly bizarre. Located in the Ralph B. Clark Regional Park, the Clark Center has picnic areas, hiking/biking trails, and kids’ playground areas. One of the year’s leading free educational events, From Dinosaurs to People, takes place every summer at the Heritage Museum of Orange County! Activities for families including panning for gold, archaeology digs, native hikes, fossil discoveries and more. At the Discovery Cube OC, head outside to Dino Quest Headquarters, where you’ll walk right into the belly of the beast – a two-story tall Argentinosaurus – to complete challenge quests using infrared electronic transmitters to garner information for the “scientists” back at Dino Quest Headquarters. Kids will love playing explorer at this elaborate dino dig, which also features a life-size replica of a real T-Rex spanning 40 feet long and 15 feet tall. Cabazon Dinosars (AKA: World’s Biggest Dinosaurs) is a popular roadside attraction just a quick drive from LA and OC. Visit Mr. Rex, a three story, concrete beast with a fresh coat of paint or climb all the way to the top for a bird’s eye view of Dinny, a 150-foot-long Apato. 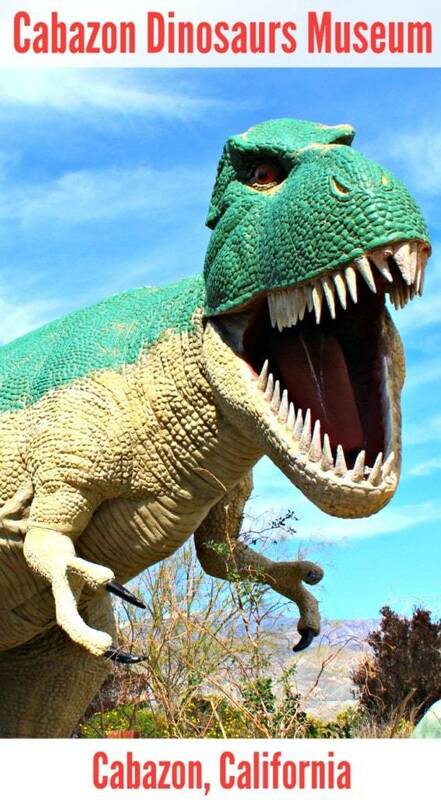 Jurupa Valley Discovery Center is nine acres of botanical gardens with a variety dinosaur sculptures. Also on site, the Ruth and Sam Kirkby Earth Science Museum, exhibits dinosaur eggs, fossils, Native American artifacts, rocks, gems and more. Geared for ages 12 and under, the center is free. They host great field trips for students. The Metropolitan Museum has, in its collections, a cast reproduction of an Allosaurus skeleton purchased in 1978 from an excavation site in central Utah. 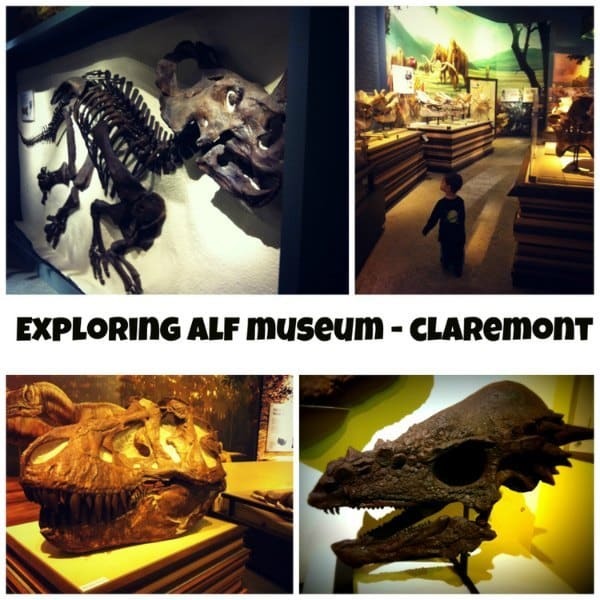 Referred to as the “hidden gem” of the Inland Empire, the Raymond M. Alf Museum of Paleontology has one of the largest and most diverse trackway collections in the country in the Hall of Footprints. Visitors can get a behind the scenes look at a working paleontology museum, a fossil preparation lab and a collections storage room via cut out windows in the walls. The San Bernardino County Museum is jam-packed with southwestern history and surrounded by fragrant citrus groves. The museum’s interactive and engaging Fossils Underfoot exhibit leads visitors through the course of deep time, from Earth’s earliest life to dinosaurs and beyond. 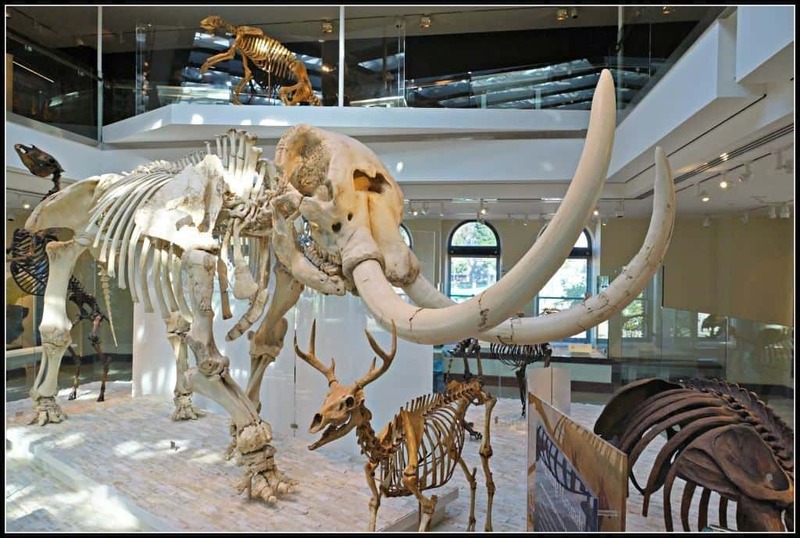 Western Science Center, the largest natural history museum in Riverside County, was created a decade ago to house all of the Pleistocene fossils found during the Diamond Valley Lake excavation. Visitors will find saber-toothed cats, dire wolves and ground sloths, and they’ll get to know fossils on a first-name basis. They include “Max,” the largest mastodon found in the western U.S., and “Xena,” the Columbian mammoth. The Gemological Institute of America, or GIA, is a nonprofit institute dedicated to research and education in the field of gemology and the jewelry arts. The GIA Museum has fossils in precious stones, including feathered dinosaur wings. Open to the public by appointment only. To schedule an individual or group tour of GIA’s location call 1-800-421-7250, ext. 4116. They also have an excellent field trip program for 4th grade students. 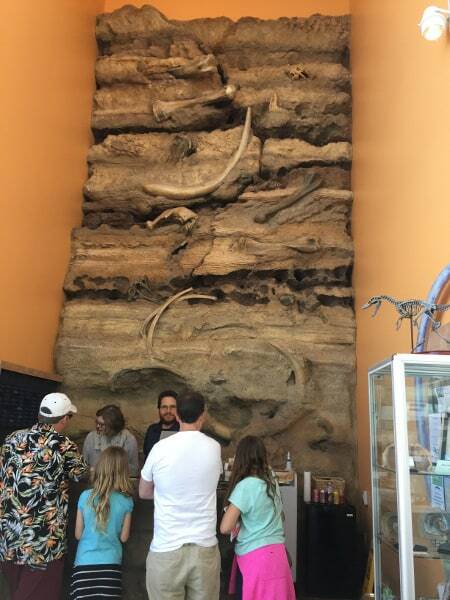 The Roynon Museum of Earth Sciences & Paleontology was established in 2000 to educate students, scouts, and the general public in earth sciences, as well as to emphasize the meaning of the sequence of life throughout geological time. The museum is a plethora of knowledge brought about by way of the thousands of specimens that have been acquired throughout the years bringing into focus the overall picture of paleontology. Mr. and Mrs. Roynon add specimens to the museum each year on their travels throughout the United States. The Upper Cretaceous strata in the Point Loma formation contain abundant trace fossils of the species Qphiomorpha and Thalassinoides, which suggest that the area was a shallow sea during the Cretaceous Period. theNAT dates to 1874, making it one of the oldest scientific facilities in southern California. It contains exhibits on a number of different subjects, including permanent displays of dinosaurs and dinosaur bones, as well as a giant 3-D theater and full-time research center. A Nodosaurus and a full Allosaurus reconstruction are featured at the museum. Rotating exhibitions often center around dinosaur themes and the museum hosts special events for field trips and student groups. Over on Explorer Island you can find the most elusive of dinos, the Coastersaurus. Afterwards, head over to the Dig Those Dinos attraction, where little paleontologists can grab a brush and uncover “bones” in a large sandbox. Whole skeletons and smaller pieces are there for kids to discover. May is officially California Archaeology Month! Events take place throughout California. The Southern California Paleontological Society, founded January 5, 1960, is a non-profit organization which pledges itself to work in cooperation with scientific institutions and for the preservation of the fossil record. Participation is invited in the program to collect, preserve, and study paleontological material. Wow! This is an incredible list for anyone with dinosaur loving’ kiddos! (And adults, too!) Thank you for sharing.